La Morella nuts, a Spanish nut specialist acquired by the Barry Callebaut Group in 2012, presents a range of high-quality caramelized nuts for the food industry in Europe. These mildly roasted chopped nuts, coated with a fine and crispy layer of sugar caramel add color and crunch to food creation. They can be used as an inclusion or a topping for ice cream or bakery and confectionery applications. 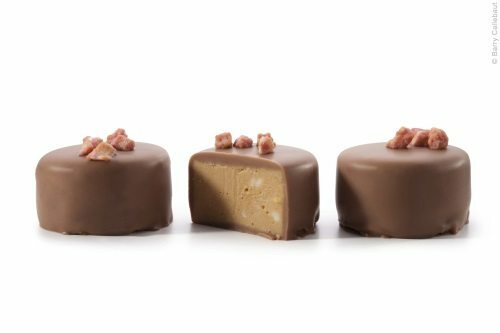 The range includes pink and green almond sablages, a variation with vanilla and cinnamon taste, as well as new butter and salt almonds or pecan sablages. “Based on the latest insights, trends and novelties a team of specialists at la Morella nuts continuously develops new nut-related products that capture the very best that nature has to offer,” says Sofie De Lathouwer, marketing director FM Western Europe. La Morella nuts is mainly stocked up on hazelnuts and almonds by local nut growers. These local varieties provide an extremely high quality and intense flavor. Besides locally grown Spanish nuts, the company’s current offering also includes Piemonte hazelnuts from Italy and premium Californian almonds, as well as pistachios, pecans, cashew nuts, walnuts and many other varieties expertly selected and sourced from cooperatives all over the world. The company would ensures that all nuts are freshly cracked following the specific client-order. All nuts are processed freshly within 24 hours before delivery, which is facilitated by local nut orchards and suppliers. The nut growers pick up the nuts from the ground immediately after they have fallen from the trees. Then they bring them to collection centers where they are stored under the best conditions, in their shell. Local nut groves in close proximity to the factory ensure freshly cracked nuts, with their true, natural flavors preserved. The nut roasting process technology, developed by la Morella nuts, releases all the flavors of the nuts. As a result, Barry Callebaut can offer nuts that reveal more fruitiness, less sweetness and above all, are of an unrivalled freshness.